Spending months, days and hours to find the best Christmas Gifts for your girlfriend? How about getting something that you can financially afford and is unique to your girl? Win her heart and smile with your kindness and caring. Let’s see which one of these suits her. For a health-diet lover: Your girl always puts a slice of lemon, lime, apple or orange into a bottle of water to help cleanse the fats and toxins from the body. With this bottle she can put in as many fruits as she wants without it overfilling. For a chocolate lover: One way to win her heart is to feed her with the right sweet…preferably chocolate. Chocolate Fondue lets you share a bowl of hot chocolate dip with strawberries, fruits or marshmallows one romantic evening at home, or even during camping night. Nothing’s worth more than spending time with your loved one during the weekend. For a plant-lovers: The sponge pot helps to prolong the life expectancy of your favourite plants. The sponge gives more moisture and encourages its hydration process in the plants. Your love can carry the pot anywhere in the house – next to the bathtub, on the sink or on her side table. For a pet-lover: A cotton ball dispenser is the tail of a dangerously cute white bunny. She’ll love this perfectly adorable addition to her make-up table. For a busy bee: Your girl is a hard-working entrepreneur, workaholic or diligent student. A majority of her day is spent in front of the screen, maybe leading to some health and sleep problems. Using aromatherapy diffusers will create a stress-free zone, helping her mind and body relax so she is energised for the next day. For a tidy lady: Your baby wants everything to be neat and tidy, especially with food. Maybe she crawls onto the couch holding two separate bowls of chips and dips (and there’s a high chance she might drop both). Ooma Bowl has a smart design, allowing her wrist to rest in a comfortable and neutral position, and can totally change her dining experience. She would be impressed to receive it on Christmas. So, finally, you can win her this time. For a cute girl: Don’t think the balloon is only for kids or teenage girls, it’s for everyone. Balloons can bring her back to childhood with nostalgic and sweet memories. Get a bunch of colorful balloons and learn simple tricks to decorate it (putting candies inside, water or touched up with art). It might be a basic step but can win a big heart. For a cat lover: Why not help her carry the cat everywhere – shopping malls, around campus or in coffee shops? Your girl can wear it with high heels, boots or sneakers without any hesitation. For a phone-cover collector: You’ve noticed that your girl has a weird habit of buying covers for phones, laptops or even a passport. Why not show her your skill of getting one she like? She’ll uncover her heart for you. For a ring-collecting girlfriend: Sometimes girls buy lots of jewelry, particularly bracelets and rings. Some have never worn all of them or they’ve lost them somewhere. Chances for a ring to slip off her finger are so easy, especially when she sleeps, takes a shower or washes the dishes. Help her keep those little gorgeous rings in place, she would be touched if you give her a cute and artist one. For a writing lover: High-tech devices are replacing our normal way of writing? Not really. Your girl particularly loves taking notes in her little notebook about things around her or spends time writing in a diary before heading to a bed. Well, why not buy another notebook with a funny or interesting cover for her? Girls appreciate their loved ones noticing these little details. While other countries are exchanging high-tech equipment and expensive gifts such as Xbox, Iphones or other hardware, apples are given as Christmas gifts in China, 10 AUD for each in a colourful paper box. The word for apple, pingguo, is pronounced similar to the word Christmas, ping’an ye. This coincidence makes apples an exclusive present at Christmas time. Christmas in South Africa has the same weather as Australia. The hot blazing summer weather is suited to a roasted and fresh meal. Chicken, ham and jam are the most popular protein to prepare a massive Christmas Eve feast. But, gammon (with or without bone) has become more popular because of an influence of American customs, which is cooked in a large pot of water with brandy, lemon juice and coke. After 4 hours, the gammon is served with delicious and fresh potatoes, rice and green veggies. With an indigenious background and a multicultural heritage, hallacas are the iconic signature of the Venezuelan culture. A mixture of beef, pork, veggies, olives and raisins are wrapped in plantain leaves and then boiled for 1 hour (depending on the number of hallacas). People in Venezuela believes that because of its hard working and complicated process, it requires all the family members in the house to help each other from the preparation stage to the end process cooking stage. Thus, making the delicious hallacas on Christmas day represents one of the strongest holiday family traditions in Venezuela. A majority of the Japanese are Buddhist, but thanks to a successful KFC marketing campaign in the 1970s, eating KFC has become a traditional way of celebrating Christmas in Japan. This unique celebration attracts lots of media attention and foreign visitors. If you are in Japan to celebrate Christmas, remember to make a booking to get an amazing deal with fried chicken, cake, wine or champagne. People in Netherlands traditionally spend more than 3 days celebrating Christmas, so Christmas breakfast has all kinds of luxurious breads, teas and chocolates. 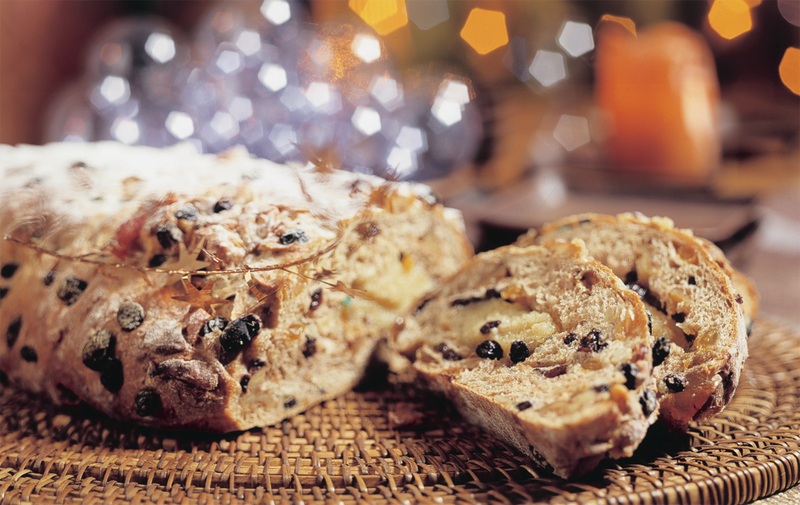 Almond Paste Bread (kerststol) is considered a deluxe breakfast treat instead of cookies. The homemade baked cake is filled with expensive raisins, nuts, dried fruits and has almond paste. You can eat with butter or cheeses when having coffee or tea. Christmas would be missing its crucial sweet element in Canada if the chicken bone candies are not on the plates of kids and adults. 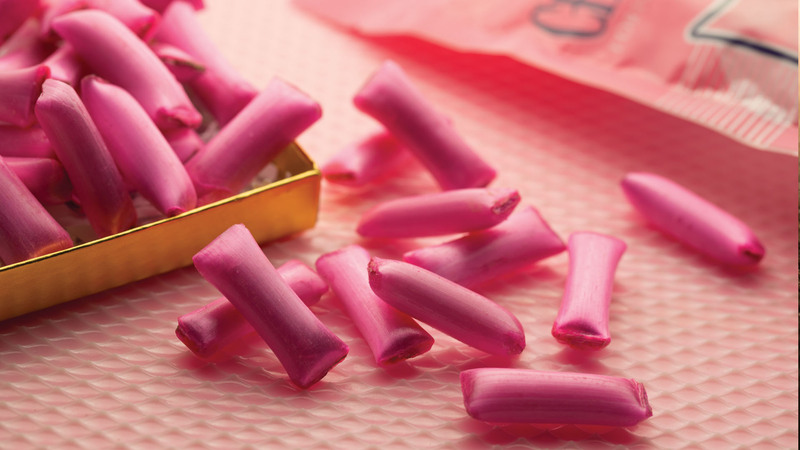 The chicken bones are with filled with chocolate and covered in candy to melt smooth in your mouth. 80% of Philippines are Catholics so Christmas is a serious business for the country. A big and open feast, called Noche Buena, happens with family members, friends and neighbors on Christmas Eve from evening until midnight. A massive roasted pig with crunchy and oily skin wins over turkey and ham in the Phillipines to embody the spirit of Christmas. A big skewer hangs the pig over a big fire, which is prepared from the early morning around 4 am before being cooked at noon. Lechon makes for a juicier, merrier and brighter Christmas for Filipinos and their guests. Christians in India celebrate Christmas Eve dinner with the traditional curry dish and a sweet and milky pudding to end the meal. There are no meat dishes on Christmas Eve, so Russians mainly eat vegetables and fruits during the feast rather than meat or fish. Vegan Potluck and Beetroot Soup are the two popular dishes with salads. To make a unique Christmas meal, Russian drink Vzvar, a hot boiling drink with a mixture of dried fruits and honey. This traditional drink symbolizes the birth of the baby Jesus. Because of the hot summer time in Christmas, Australians have combined a traditional barbecue style with a cooler and refreshing meal through various kinds of seafood choices – prawns, oysters or lobsters. You will now easily catch a slang phrase “shrimp on the barbie”. The fish market opens 24/7 during Christmas Day so people can get fresh seafood for their Christmas Feast. In the early morning today, The Bureau of Meteorology has announced a tornado warning to all areas in the NSW. Sydney will experience destructive winds, large hailstones and heavy rainfall leading to severe flood. At 10:30, wind gusts of 200km/h recorded at Kurnell by The Bureau of Meteorology. What to do in emergency situation? For emergency help in floods and tornado, ring the SES (NSW and ACT) on 132 500. Sometimes we want to take time off to explore the world while we’re still young and very humble. But how can we book cheap flights to travel overseas or around Australia when we’re still students? We already work to pay off daily expenses without support from parents. These 10 secrets have been revealed to save your life. Now, you can enjoy a wonderful trip with your friends and your loved ones without paying too much. Try playing around with the time of day rather than controlling which day of the week you are flying. A majority of early birds and night owls always receive cheaper price because airlines tend to cut prices to attract more travelers. Using this secret allows you to avoid peak hour in holiday seasons. Warning: Make sure you set your alarm to wake up early and estimate your commuting time or you will miss the early morning flight. Signing up for alerts and weekly updates from the airline providers is a smart tactic to track cheap prices. You will frequently receive new special offers and promotions rather than junk mail. You might end up buying a flight ticket for only $1 dollar. Warning: Buy it or lose it. Do not rely on only one airline ticket website. Use multiple sources to check for the good deals, as you might be surprised to find that the offers on each site are different. Warning: You should save these sites before turning off your laptop or write down the price. Use two different airlines to section the short route to long haul flights. For example, instead of an 8 hour flight to Ho Chi Minh city (around $800 AUD tickets), book a flight to Singapore/Malaysia/Thailand ($300 to $400 AUD), then fly back to Vietnam (around $200 AUD). Having a one or two day stopover can be less exhausting, enjoyable and a lot cheaper than a direct route. Warning: Do NOT book layovers less than 5 hours apart in case of an emergency. You may also miss the other flight. Airline tickets are cheaper for large/centralized international airports rather than domestic or rural-located ones. By knowing the location and surrounding areas, it allows you to have more options. For example, instead of a direct flight to ChangMai (Thailand), you might want to take a bus or train from Bangkok. It’ll probably save you a fortune. Track multiple sites over 8 to 6 weeks to have a visual overview of their price fluctuation. Then you can see what days are cheaper for you. Unfortunately, the days for cheap flight tickets are inconsistent. A study from Airline Reporting Corporation suggested that buying your tickets in advance of 6 weeks is the best period. Ticket prices tend to drop below the average fare for a duration of 4 to 6 weeks. Keep your eyes on the tickets so you don’t miss out. When booking online ticket, you should carefully check the ticket price in other currencies. By using simple maths, convert your home country currency to another country’s – you might see a price gap. Warning: Make sure you are using a credit or debit card that is free of foreign transaction fees, otherwise you will get charged more for the unnecessary service fees. Travel agents can sometimes give you the best deal with their packets or discounts. It is wise to do some research before seeking assistance from travel agents, so you can prepare your own bargaining tactics to get the best price from them. If you have any friends or relatives working in travel agent industry, you should definitely grab this opportunity. Being flexible of your travelling day means you can take advantage of cheaper airfares. Preparing and weighing your luggage in advance can avoid further surcharges if you book for carry-on options. Once you book the tickets, just sit back and relax. When my partner told me about his hobby of shooting guns, I slightly panicked — panicked at the possibility of him owning a gun illegally, for I understood little about the legal terms of gun ownership, as well as usage, in Australia. My wild imagination extracted all the horrific scenes from movies and unfortunate events from reality, creating the image of a cold-hearted and recklessly-wild shooter. Bad stigma is attached to gun shooting — the activity itself and the participants themselves. Think about the first thing that comes to mind when you hear the word “guns”. If you type the keyword into Google, several of the results are news articles on victims shot by gun holders. Therefore, it can assumed that people who are unfamiliar with guns will associate it with being a weapon that only kills, and sees the people in possession of a gun as the villains of society. I too saw guns in a negative light but all that changed on a trip to a shooting range with my partner and his mates. The trip was a life-changing experience. It proved that people who own guns aren’t killers, nor have intentions to shoot people. I met so many kind people who taught me how to hold a gun, how to shoot it and how to reload. Their patience and encouragement eased my nerves, plus I made friends with many of the young female shooters tagging along with their partner (like me!) When I came home from the trip I realised that shooting is just like any other hobby and that these people should not be discriminated for enjoying a sport they love. The distorted stigma made me think of the stereotypes about international students. Particular ethnicities are sometimes so pigeonholed into a specific point-of-view, people even forget that not everyone embodies the stereotypes. For example, students with an overseas background. I, for example, am ethnically Chinese but do not fit a large number of stereotypes. My time in two different Western environments has changed a lot about me. Most foreigners expect Chinese people to excel in Maths or Science, but I shine more in the Arts and Social Sciences, specifically writing. Personality wise, I am bold and open, not traditionally shy and reserved. Furthermore, I do not always eat rice as I have preferences for the hundreds of other options available. Therefore, one might be from Germany but is not a beer drinker and another might be Latino but is not good at salsa dancing. There’s a common phrase: “everyone is unique”. But, as much as people embrace their individual personality and style, not the same applies to countries, ethnicities or religions as a whole. With stereotypes attached, your view of a person and their actions will differ greatly if the person were to have originated from some other ethnicity. This is one of the most influencing factors on your treatment and engagement with them. It is therefore important to start engaging with someone by looking past the outside to the inner person. 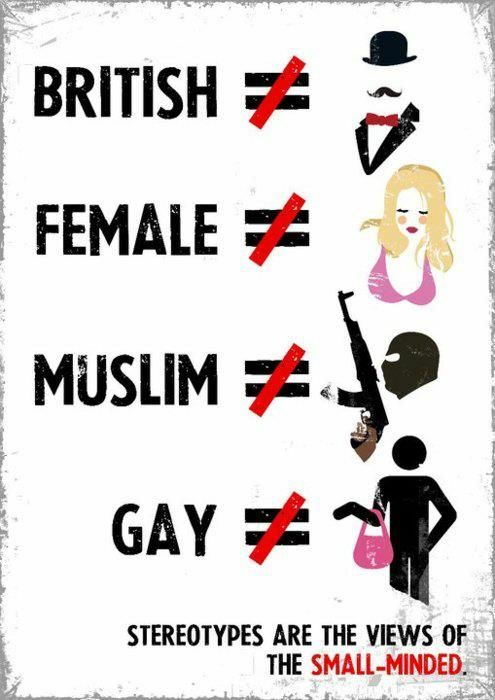 Labelling throws all equality out of proportion. Can’t think of anything for your partner this Christmas? Here are 10 unique present ideas for you! This costume is great for any formal and informal parties. It is waterproof so your boyfriend doesn’t need to worry about getting wet. While hugging him, you can easily pop, pinch or squeeze these bubble if you are a fan of bubble wrap. This effectively releases a long day of stress. Everyone loves bacon and your man might not be an exception. The bacon tooth paste is perfect to keep his teeth nice and shiny while tasting the flavour of bacon all day long. Instead of spending your cash for dine-out meals with uncontrolled portions, choose his favorite dish and showcase those cooking skills you’ve been practicing. It’s cheap, healthy and enjoyable. Nothing would be better than a meal from his loved one, right? When a camera is the most precious thing that your guy has ever had, you can help him out by protecting his lenses with these cute sweet snack lens caps. A notebook is our lifebuoy when studying in university as well as in the outside word. This portable invention can’t go wrong since pencils, pens and other tools can snap neatly and tightly into a notebook. Great for your significant other if he loves taking notes but always borrows a pen from you or his mates. There are so many good deals and prices available for fine-dining dinner during Christmas time around Sydney or Australia. Conduct your own research to seek options that fits your favourite location, cuisine and budget. You might find many fancy and well-known restaurants around Australia with a discount of more than 50% off its original value. Australia is famous for kangaroos, crocodiles and snakes, but the only thing you meet daily is spiders. If your man are afraid of insects and spiders, this is a good choice for him this Christmas. Your guy will be safe staying away at a 65cm distance from almost any creepy-crawly. For your boy if he loves traveling but almost always drops his phone on the floor or in the car. The Fuse Chicken Bobine Charge Cable has a great flexible dock to charge and hold – it can save his phone’s battery life and shelf life. When you visit his bathroom shower bottles are everywhere. You might need to help him clean up a bit but not for long. These bungee shower bottles tightly hold the shampoo, face-wash etc into the wall. The elastic coil extends to indicate whether the bottle is empty or full, giving your man enough time to buy a new product instead of finding himself showering with only water this Christmas. Vacations, movies, holidays, leisure time, we all love these. Director Tim Burton once said, “Movies are like an expensive form of therapy for me.” Movies are therapy indeed after a long, stressful examination period. Trending recently was The Hunger games: Mocking Jay (Part 2), the most-awaited final part of the series . Let’s have a quick glimpse of what the series is about. The Hunger Games is a sci-fi movie series is based on the adventure trilogy written by American author, Suzanne Collins – The Hunger games, Catching Fire and Mockingjay. Mockingjay, however, is split into 2 parts totalling to 4 movies. The events of movie takes place in a fictional world “The Hunger Games Universe” in an unspecified time in future. The games are held every year since Dark Days (occurring 75 years ago) hosted by the excessively wealthy Capitol using participants from the surrounding, poverty-stricken “districts”. The participants called “tributes” are chosen at random, each a boy and a girl aged 12-18, from every district through a lottery. The games are held to remind the district citizens of their failed rebellion, which had caused the Dark Days, and to emphasize the power of the Capitol. The 24 teenagers fight amongst themselves to the death until there is a final survivor and winner of the games, known as the Victor. The Victor is granted immunity from participation in future Hunger Games and their district is provided with food for a year. Panem: The fictional world ruled by nation of Panem in place of Canada, United States and mexico due to the failure of government of three nations. Capitol: The seat of power of Panem’s brutal government that is located in Rocky Mountains of former United States. It is surrounded by 12 districts. It serves as the home of dictatorial President Coriolanus Snow. The citizens of Capitol exhibit a very high standard of living compared to those in the districts. Peacekeepers: They are the combined military and police forces maintaining law and order and punish those who disobey laws of Capitol. Districts: There are 13 districts in total of which 13th district remains hidden. The other 12 districts each have a specific characteristic – district 1 is wealthy; district 3 specializes in fishing and district 12, the home of major characters Katniss and Peeta, specializes in coal mining. The main characters in the movie are Katniss Everdeen (Jeniffer Lawrence), Peeta Mellark (Josh Hutcherson), Gale Hawthrone (Liam Hemsworth), Haymitch Abernathy (Woody Harrelson) and Primrose Everdeen (Willow Shields) all from district 12. Other main characters are Effie Trinket (Elizabeth Banks), President Coriolanus Snow (Donald Sutherland), Cinna ( Lenny Kravitz), Finnick Odair (Sam Claflin) and Johanna Mason (Jena Malone). Katniss Everdeen volunteers in place of her younger sister Primrose Everdeen. She is joined by male tribute from district 12 , Peeta Mellark. They are taken to Capitol by chaperone Effie Trinket and and their mentor Haymitch Abernathy (past district 12 Victor). The tributes are groomed in order to attract sponsors and trained before the games starts. The event is nationally televised. In the end, Peeta and Katniss survive out of 24 tributes. Since only one can survive, both forces the authorities to change the rule that there cannot be two winners from the same district by threatening to poison themselves. They are then declared co-winners of 74th Hunger games when they are about to eat poisonous nightlock. In this sequel, the winners Peeta and Katniss have returned to their home that (District 12) after winning. President Snow visits Katniss at her home to threaten to kill her loved ones and orders her to use upcoming “Victory Tour” to convince people that her actions in games were because of her love for Peeta and not against Capitol. As the 75th Hunger games are Quarter Quell (happens after every 25 years), it selects tributes from previous victors. When Katniss and Haymitch names were announced Peeta immediately volunteers to take place of Haymitch. In the games, Katniss shoots an arrow into the arena’s force field causing power failure that takes down Capitol’s surveillance, thus shattering the games forever. She woke in an aircraft along with a few fellow victors and head Gamemaker Plutarch Heavensbee, who tells her that they are going to District 13, the headquarters of the new rebellion. She learns from Gale that her family is safe but District 12 has been destroyed by Capitol. After being taken to district 13, Katniss is introduced to rebel leader President Alma Coin who asks her to be the “Mockingjay” as part of their strategy against President Snow to which she refuses. After watching Peeta being used by Capitol through state television, she agrees to be “Mockingjay” and head their rebellion. District 5 protesters destroy the dam which is the Capitol’s primary source of electricity. In the same night, District 13 is being attacked by the Capitol but facility survives the attack. They then rescue Peeta and Johanna. Soon Katniss realizes that Peeta has been brainwashed to kill her and needs treatment. Katniss, along with Gale, Finnick, Boggs, Peeta and others as a part of “Star-squad” tries to evade “pods” with the help of a map “Holo”. In a series of events, the members of squad are killed leaving few. On seeing her sister Prim killed by bombings, she fells unconscious. On recovering she learns that the Capitol has been conquered. She agrees to Coin’s proposal of a final Hunger Games on the condition that she is allowed to execute Snow herself. Watch it for the adrenaline rush. It is a great movie series that will make your summers action-packed, full of thrills and chills. So, what are you doing here reading my article? Go grab your DVD’s, Blu-rays and enjoy the latest one at a cinema near you. I enjoyed the series. What about you? Waiting to hear your opinions. This year on Diwali, I really felt good when my Facebook page was full of Diwali greetings. Besides those from my near and dear ones, I also received Diwali greetings from ANZ Bank and St. George Bank. Even my local Coles supermarket had a special section for Diwali. The sails of beautiful Opera House lit up in golden orange on the 12th of November, 2015 to mark the Hindu festival of lights celebrated by Hindu community across the globe. I was happy and emotional for this wide acceptance of one of the major festival of Hindus. I felt less homesick this year in festive season. But, at the same time I thought how many are actually aware about Diwali. So, I decided to throw a light on this Festival of Lights. Diwali is derived from Sanskrit word “Deepavali” meaning ‘chain’ or ‘series of lights’. It is an ancient festival that has been celebrated for centuries. It is known by different names in different regions of India but Diwali or Deepavali is most common. The festival is celebrated by Hindus, Sikhs Jains and some Buddhists to mark different historical events or myths. However, irrespective of the different ways it is celebrated across different cultures, regions and religions, it symbolises victory of good over evil. Dhan means wealth, teras represents 13th (13th lunar day before new moon)and puja means worship.This day marks the beginning of five day festival. On this day people customarily buy gold, silver or even utensils or anything precious. It is a major shopping day. This day marks the birth of Goddess Lakshmi (goddess of wealth). It is believed that purchasing precious items on this day will bring prosperity and wealth. Naraka means Hell; Choti means small and Chaudas means 14th (14th lunar day before new moon). On this day, people clean their houses thoroughly and finally a day before festival. The day is celebrated to get rid of laziness and evil in our life. People light earthen lamps called diyas on the night. The third and most important day of entire festival. On this day, people decorate their houses. Rangoli, a beautiful and colourful pattern, is drawn near main entrance of houses using materials such as coloured sand, dry flour, flower petals or coloured rice. Rangoli is said to be associated with bringing good luck. People also decorate their houses with colourful electrical lights. The entrance usually carries signage of “Happy Diwali” or “Shubh Deepavali”; Shubh meaning auspicious. The day falls on darkest night with no visible moon and is dedicated to Goddess Lakshmi: Goddess of wealth and prosperity. In the evening, people worship goddess Lakshmi who is believed to remain on earth the night of Diwali. The puja is followed by lighting of candles and diyas and fireworks. Preceding people of the house gather to enjoy a family feast and enjoy mithai (traditional sweets and desserts). The doors and windows are usually left open that nighti in order to welcome goddess Lakshmi. Govardhan is a small hillock near Mathura in India. It is believed on this day , with the help of Govardhan mountain Lord Krishna saved people from drowning. Also, called as “annakoot” meaning ‘Mountain of food’, exactly 56 types of food, commonly known as “Chhapanbhog” or 108 different types of food, are offered to Lord Krishna. In south India , it is believed that King Bali comes on earth for this one day to rule as per boon given by Lord Vishnu. The fifth and last day of 5 days long festival is called Bhai dooj where bhai means bother and dooj represents second day after the new moon. As per legends, it is believed that if a sister puts tilak on her brother’s forehead on this day, it will protect the brother from harms and evils. The festival is celebrated to strengthen the love between brothers and sisters. Brothers and sisters give gifts to each other. Diwali is official holiday in India, Nepal, Sri Lanka, Malaysia, Singapore and Fiji. Nowadays, Diwali is widely observed and celebrated in many parts of the world. Diwali has many regional and cultural variations and it will be hard to explain it in such a short article. There are many legends associated with it which are interesting as well as guiding and enlightening. I hope that by the next year more and more of my friends are aware of it and celebrate it with me. I pray for all to have a life full of colours, lights, joy, wealth and prosperity. Once again belated Happy Diwali 2015, and Happy Diwali 2016 in advance! Thy-Huynh is a very friendly and optimistic girl from Viet Nam. She graduated from University of Technology Sydney with a Bachelor of Nursing in 2014 and currently volunteers as a sale assistant for Ted Noffs Op-shop (a charity shop with donated clothes/items to help homeless kids suffering from drugs and alcohol) and is a PR/Social Media team member of Ozduhoc. Australia is a multicultural country with beautiful coastal views and warm weather, attracting many people as a destination to live and study in. Thy was also impressed by this beauty of Australia and decided move to Sydney in July 2007. After nearly 8 years of living, studying and working on her own, she has become more self-confident and self-motivated to turn her ideas into action. to the illness rather than curing it when it becomes severe.” Additionally, at the end of the nursing course, students will be given opportunities to apply for new-graduate positions in mostly public hospitals. Here they are able to rotate around the wards that they are interested in. Work as a registered nurse requires lots of training session and helpful assistance from senior nurses. Unfortunately, Thy did not get her dream position in hospital and that disappointed her for a while. However, from this she realized that nursing is an open career with positions available other than the hospital. Nurses are needed to care for patients with chronic diseases in the community or family practice. This fact motivated her to start to applying to other settings and fortunately got a job 6 months after graduation. Thy found working as a practice nurse in a medical practice was quite different to how she was trained in hospital settings. “Comparing to hospital where you meet a variety of patients and provide them acute treatment, you do more health care plans and follow up with national vaccination guidelines for a more preventive health and chronic health management,” she said. When studying in another country, especially Study in Australia, to fail a subject is a nightmare. Thy suffered a dark time when she failed one subject in her nursing course. “I realised how neglectful I was toward that subject. It was such a difficult subject in which I hate and I neglected to catch up or ask questions that I am not sure about towards friends or tutorial teacher”, she told. Being an independent girl, she decided to not ask her mother to repay the subject. So, in her last semester she needed to take 5 subjects while going on clinical placement and working part-time on weekend to earn the tuition fee. She is very positive about everything: “I guess you just have to think positively and trust your own ability to overcome the most difficult time”. Thy probably has a reason to be optimist about being failed one subject because of clinical placement (which is compulsory to her degree) is where she found her best experience: “I was able to learn how to interact and assess your patients in real which will enhance your practical judgement based on theory you have learnt”, Thy excitedly recalled. Thy was also enthusiastic to share her future plan which is to temporarily stop her nursing career and start a new degree after she is successfully granted with Permanent Resident here. “This could sound odd but I learnt that you might have many interests but doing what you are really passionate about would lead to a more meaningful life because you effortlessly contribute what you have best” – Thy is very passionate with her new plan. To prepare for this, she made a portfolio to submit her ideas and show her creative work on multi-media platforms. If her application is successful, Thy will start over again by doing a degree of fashion marketing because fashion was always her passion and the greatest inspiration in her life. Rather than drawing and sketching, she would love to work closely with designers and promote fashionable trends to fashion lovers. She also became a fashion retail assistant to learn about customer satisfaction and store merchandising.